We provide solutions for sea and brackish water salinity, as well as contaminants removal, making it suitable for irrigation and human consumption in accordance to our current regulations (NOM-127-SSA1-1994 Mod. 2000 y NOM-201-SSA1-2002). 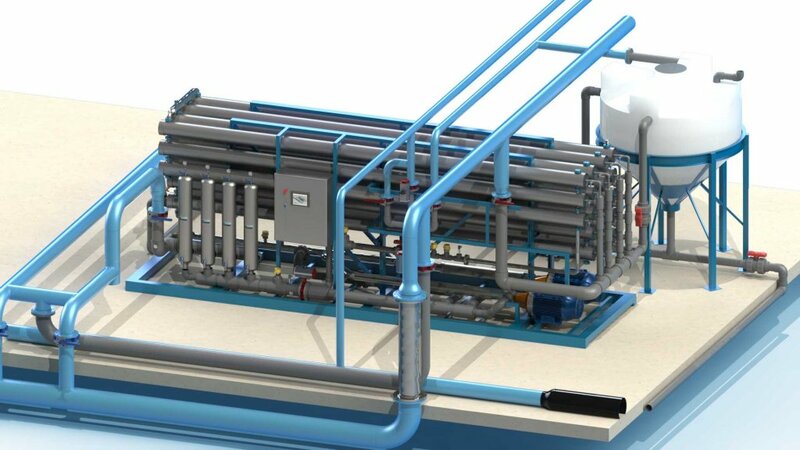 We use Reverse Osmosis technology, applied to hotels, oil platforms, and industries with brackish water problems. 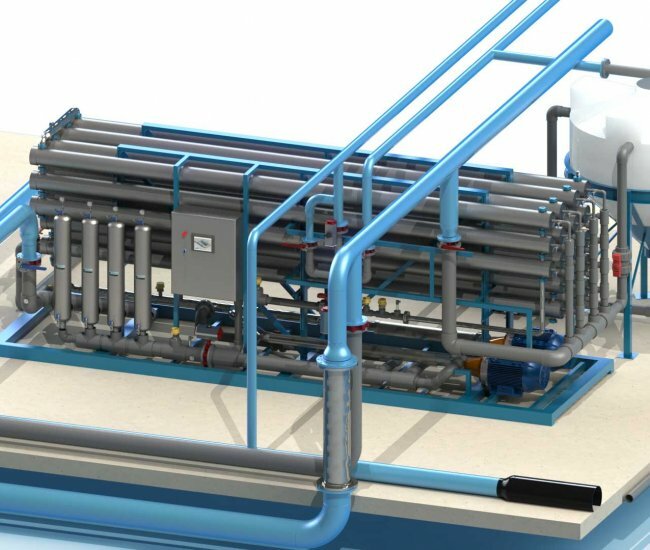 Our solutions can adapt to different capacities and cover the design, engineering, manufacturing, installation, commissioning, operation, supervision, maintenance and, after-sale technical service.